Arrow keys for airplane position change. Tab for Full Screen 640x480x16 bit. 3D Game. 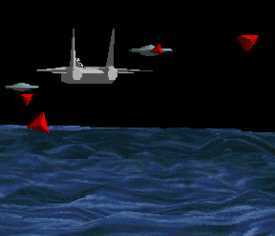 You use F14 airplane for alien attack defence. WinAmp used for timing & sea splash.